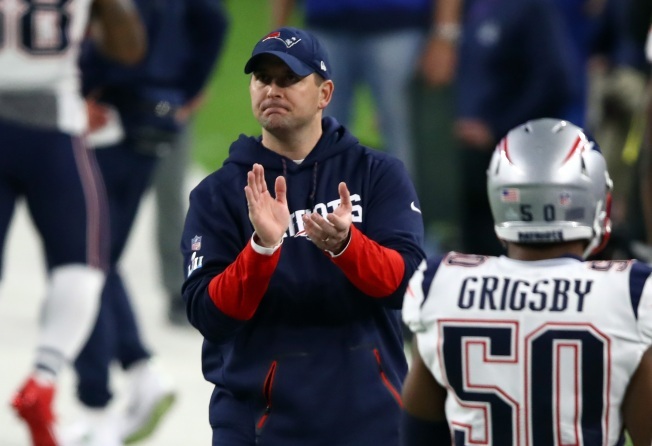 New England Patriots offensive coordinator Josh McDaniels interviewed for the open Green Bay Packers head coach job last week, but they reportedly decided to hire Tennessee Titans offensive coordinator Matt LaFleur instead. McDaniels, speaking on a conference call with reporters Tuesday, confirmed he will be returning to the Patriots and isn't going to be doing any more head coaching interviews. McDaniels says he's not planning to interview for any more HC jobs this year: "The book is closed." McDaniels says he doesn't know if what happened with the Colts last year impacted the number of teams he heard from. Was thankful for the opportunity he had with the Packers. Is now focused on his job with the Patriots. Emphasizes that he enjoys the job he has here in NE. McDaniels returned to the Patriots in the 2011 season and became the offensive coordinator in 2012 when Bill O'Brien left to coach Penn State. The Patriots offense has scored 400-plus points every season and won two Super Bowl titles during McDaniels' second stint in New England. He nearly became the Indianapolis Colts head coach before this season but controversially backed out at the last minute. The Patriots begin their next playoff journey Sunday when they host the Los Angeles Chargers in the AFC divisional round at Gillette Stadium.